Let’s play a quick word association game. The word is: zoning. 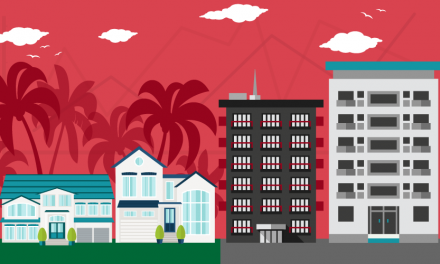 Zoning is associated with many negative aspects of the housing market, including: red tape, regulations, height restrictions, parking restrictions, stifled growth and angry neighbors. A poor, outdated zoning code can cause a multitude of problems for local housing. But zoning doesn’t always have to be a problem: zoning can be a good thing for housing growth, if it is molded with the right goals in mind. How can zoning change make a positive difference? Consider one of the biggest problems facing California’s urban areas: a lack of multi-family housing. In the aftermath of the 2008 recession, tens of thousands of homeowners lost their homes to foreclosure and became renters. This spike in demand coincided with the influx of new young adult renters from Generation Y (Gen Y), who have only recently left the nest and are now looking for rentals near jobs in the city. The lack of sufficient rental housing is causing rents and home prices to shoot up beyond the rate of income growth. In turn, the homeownership rate for these urban areas continues to decline as renters pour more than their share of income into rent, cutting out potential down payment savings. Zoning to allow more multi-family housing developments alleviates the rental crush, and frees up funds for down payment savings. But too often, zoning is decided by vocal not in my backyard (NIMBY) advocates. These residents have a stake in keeping their neighborhood just the way it is – meaning low density. A classic example is San Francisco, with its severe building height restrictions and its impossibly high cost of living. 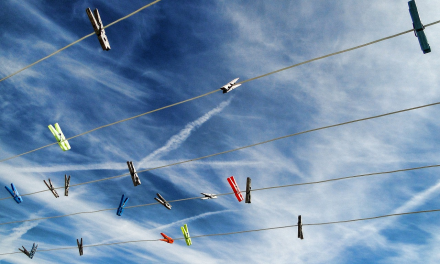 Fighting NIMBYism is an uphill battle. 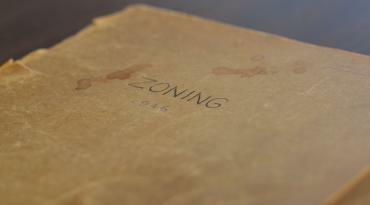 As a result, zoning change, when it happens, is a slow process. But it is getting done. This article outlines three organizations working to make successful zoning change to better meet the demands of local residents. Each of these organizations is working to change zoning in their own way, and you can get involved, too. 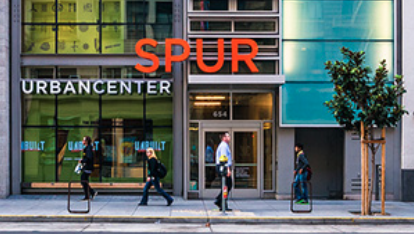 Location: SPUR (formerly the San Francisco Planning and Urban Research Association) has offices in San Francisco, Oakland and San Jose. What they do: SPUR is a non-profit organization focusing on advocacy and research for city planning and governance in the Bay Area. It has existed since the 1906 San Francisco fire and has fostered a lot of change over the years, including shaping the Bay Area Rapid Transit (BART) system and several downtown and recreation areas. Current projects include instituting laws to allow for in-law apartments, and creating Affordable-by-Design living units. Transportation (making public transportation accessible and affordable). How to become involved: SPUR is a non-profit organization, funded by individual donations. The easiest way to donate is to become a member (which starts at $35/year for low-income individuals or $75 for everyone else) and in turn you get an annual subscription to their magazine, The Urbanist, and discounted or free admission to their many events. Location: re:code LA operates out of the Los Angeles Department of City Planning. What they do: This is a project of the City of Los Angeles to streamline and simplify the city’s bloated 600-page monster of a zoning code. The current code consists of base zones such as R-1, R-2, C-1 etc., plus special overlay zones and site-specific conditions, resulting in 60% of the property in the city having at least two different types of land use controls (many with more). special district parking requirements; and much more. This can make developing or improving properties an expensive, drawn-out struggle, and it chokes back the provision of needed housing units and other services. re:code LA’s mission is to eliminate this confusion. The project aims not to change zoning designations but to flatten and consolidate the layers of regulation adhering to a particular property into one single zoning designation, with all its requirements and limitations spelled out in an intuitive and uniform way. Strategically amend the zoning map (requiring public review and council action). re:code is piloting this project in the Downtown neighborhood council district. Downtown is already densely built and contains a relatively small residential population, making change in this neighborhood less likely to run afoul of NIMBYism. With recommendations and analysis in hand, DCP is now developing the redesigned and rewritten code for the Downtown neighborhood. DCP will release the code in the summer or fall of 2015. After that, the revised zoning code will be released in geographic chunks on a rolling basis. How to get involved: The act of actually changing a zoning designation (rather than simplifying the layers of regulation applying to it and giving it a different name) requires both community input and Council approval. Some of re:code’s work will involve zone changes, although it is their stated goal to limit this. The need for more multilateral approval in those cases may prove difficult. The Zoning Advisory Committee of the City Planning Commission meets monthly for updates on the process, and these meetings are open to the public. Formal public hearings and virtual and neighborhood forums are also planned. Funding comes from the DCP’s budget as approved by the LA City Council. Location: Their office is located in downtown San Diego. What they do: The San Diego Housing Federation is a non-profit advocacy organization, providing resources for low- and middle-income housing in San Diego. They recently advocated successfully for the linkage fee increase, which is basically an added fee of 1.5% of any commercial development costs, with the proceeds going towards low- and middle-income housing. The fee hadn’t been increased since 1996. It’s expected to generate $30 million over the next 20 years to the Affordable Housing Trust Fund. San Diego’s Affordable Housing Trust Fund supports new housing for low- and middle-income households, and maintains existing housing. The San Diego Housing Commission, a public housing organization, administers the Fund. The San Diego Housing Federation also helped pass Proposition 41, which provided $600 million to help build multi-family housing and provide supportive services to low-income veterans. How to get involved: They put on an annual affordable housing and community development conference for housing professionals, city officials and residents. Another way to get involved is by participating in one of their many roundtables that bring together local housing professionals to expand their knowledge of low- and middle-income housing in San Diego. Here’s a sample presentation that outlines some really useful information – applicable in San Diego and the rest of the state – on federal funding for housing programs. Less restrictive zoning is important to the long-term vitality of your housing market. Builders cannot build if they aren’t allowed to meet rising demand due to outdated regulations. The ultimate result is an unstable housing market, with rents rising well beyond the reach of current residents. The long-term impact can be disastrous for individual communities. first tuesday will keep you informed of important zoning news in California, but getting involved at your local level is the best way to ensure positive change. NextWhat do you use to create your marketing materials?